A partnership between Western Michigan University (WMU), Avidyne, and Brown Aviation Lease has been extended with the addition of Avidyne’s Synthetic Vision and dual Air Data/Attitude-Heading Reference System (ADAHRS) capability to WMU’s fleet of Cirrus SR20 aircraft. Through Brown’s Operating Lease Solution, WMU’s fleet of 26 Cirrus aircraft will be upgraded with System Software R9.3 and a second ADAHRS. 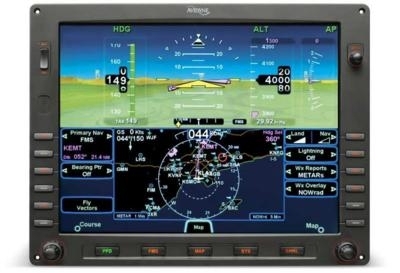 Each aircraft was previously equipped with Avidyne’s Entegra Release 9, comprising dual high-resolution IFD5000 Integrated Flight Displays, a single ADAHRS. WAAS-capable FMS900w Flight Management Systems (FMS), 16-watt all-digital VHF radios, and MLB700 SIRIUS/XM for broadcast datalink weather. “Extending our partnership with WMU and Avidyne for this upgrade is a great example of how we are providing top-tier universities, flight schools and fleet operators with continued access to state-of-the-art aircraft and avionics systems. For WMU, we were able to improve the overall performance, safety and utility of their fleet while lowering their monthly lease costs,” said Jason Griswold, Managing Director of Brown Aviation Lease.